Physical training in the context of physical fitness and physical activity refers to a method of acquiring or achieving a specific result. Simply put, physical training is intended to achieve general fitness. Other forms of training are aimed at achieving an ideal physical appearance to include weight loss or weight gain. There are also types or categories of physical training aimed at tailor fitting the body of an individual toward an identified purpose or fitness goal such as sports participation and competition, rehabilitation through physical therapy, and motor skills improvement, among others. While the previously discussed purposes and health benefits of physical exercise explain how to improve physical skills by pursuing specific physical activities, the categories of physical training on the other hand further introduces a methodological or systematic way of achieving physical fitness. Take note that there are five categories of physical training: strength, agility, eccentric, interval, and continuous. 1. Strength training: Strength training is one of the five categories of physical training aimed at building muscle mass and bone density, as well as improving strength and endurance by inducing muscle contraction using resistance or equipment. This type of training also improves the function of joints and increases the toughness of tendon and ligament, thus making an individual more resilient against injuries. Strength training is sometimes referred to as resistance training. Specific examples of strength training include weight lifting using dumbbells or barbells, pull downs and push-ups, and sit-ups and crunches. This category of physical training is also largely an anaerobic activity. However, fitness experts have developed a modified version of strength training called circuit training. This variation employs a series or circuit of resistance-dependent anaerobic activities to collectively form a high-intensity aerobic activity. Because strength training increases muscle mass, it also improves muscle tone and outward physical appearance. In the same manner, an increase in muscle mass promotes long-term fat loss and weight maintenance because bigger muscles requires more energy. 2. Agility training: Agility training is another category of physical training aimed at improving the ability of an individual to seamlessly change the position of his or her body in a rapid manner without losing balance and movement precision. This training improves the ability of an individual to utilise various general physical skills at once or simultaneously to include balance, strength, endurance, as well as flexibility, as well as specific physical skills such as speed, coordination, and reflexes. Examples of agility training include sandblasting or running in sands, shuttle runs, high knee kicks, high speed sprints, lateral plyometric jumps, and do drills, among others. Agility training is a requirement for almost all athletes. Gymnasts for instance benefits from this training as their movement becomes more fine or detailed along with their timing and reflexes. Basketball players and football players benefit from this category of physical training because it gives them speed as well as an ability to easily move around a large playing field in a fast-paced environment. 3. Eccentric training: Eccentric training is aimed at improving eccentric muscle contraction—a type of muscle contraction that occurs when the muscle elongates or lengthens due to an opposing force. 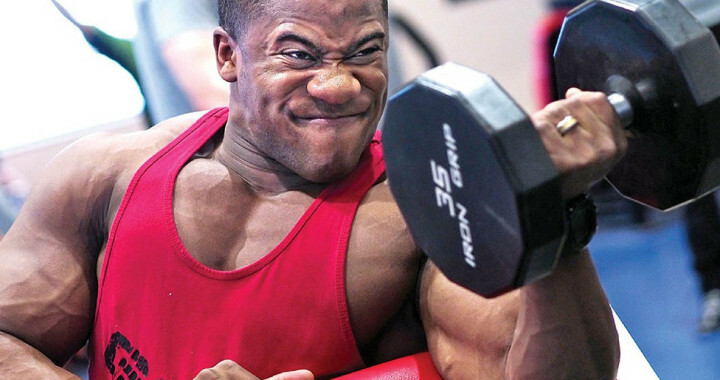 To better illustrate, an example of this category of physical training is when an individual lowers down a dumbbell during a bicep curl. Take note that eccentric contraction happens as the muscle gives in or goes with the flow or direction of an opposing force. This means that eccentric training is also known as negative training. It is worth mentioning that eccentric contraction is also present in day-to-day physical activities to include walking down the stairs, running down the hills, and landing from a jump. Modifying the intensity and frequency of these common activities could constitute eccentric training. Eccentric training can also increase muscle mass and improve physical strength. This is a more targeted approach than strength training because it focuses on a specific phase of muscle contraction. 4. Interval training: Interval training is another category of physical training aimed at losing weight by burning calories fast while also employing the benefits of strength training and improving endurance, power, flexibility, and balance. This training employs a routine characterised by a series of vigorous intensity activities with light-to-moderate intensity activities in between. These light-to-moderate intensity activities are referred to as rest intervals. Research reveals that interval training is more efficient in burning calories over a shorter period as compared to doing a steady-state activity or doing the same activity for the entire duration. One of the best things about this training is that an individual can simply mix and match his or her own choices of activities. This mixing and matching can yield different results. An example of interval training would be a routine that includes running and push-ups as vigorous intensity activities, coupled with walking and stretching in between as moderate intensity activity. 5. Continuous training: Continuous training is aimed at burning calories while also improving cardiovascular functions. It can also help improve flexibility, strength, and balance. This category of physical training employs a routine characterised by a series of moderate-to-high intensity activities, particularly aerobic activities done in a short period without any resting intervals. Like interval training, the good thing about continuous training is that an individual can simply mix and match his or her own choices of activities. This mixing and matching can yield different results. Remember that each category of physical training is aimed at tailor fitting the body of an individual toward an identified purpose or fitness goal. This also means that each has their respective advantages and disadvantages. Employing a good mix of two or more of the five categories of the physical training could promote a well-rounded physical fitness. Combining agility training with eccentric training can be beneficial in sports that require speed, stamina, and agility such as soccer or basketball. A combination of strength training and continuous training could be beneficial for individuals who want to maintain a certain type of physique. Of course, it is best to consult and work with a fitness expert such as a certified trainer or a physician specialising in sports medicine to identify the best fitness programs according to specific physical requirements or fitness goal.